At a ceremony in early December, members of the Builders Association of Minnesota recognized Michael Gohman as the 2016 Builder of the Year, an honor that is given to a member of the organization who has given support and time to the industry. 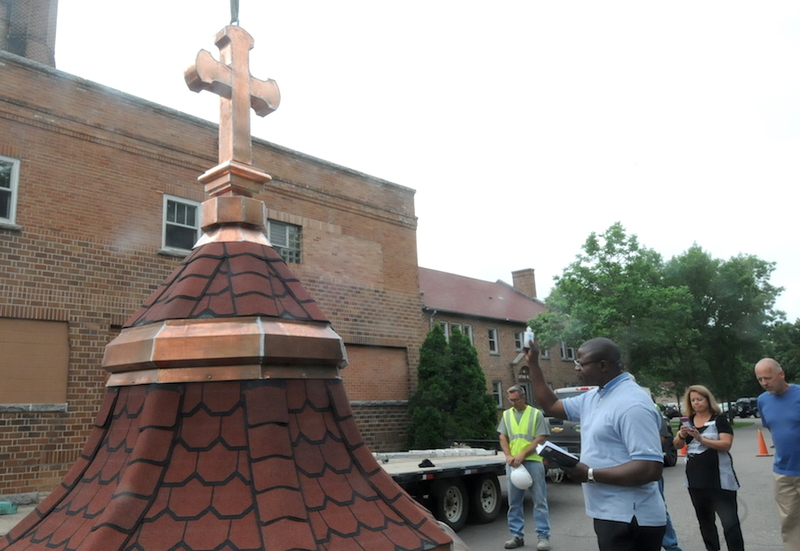 A new bell tower and cross were installed June 16 at the St. Cloud Children’s Home, a program of Catholic Charities of the Diocese of St. Cloud. They replaced an old tower and cross, from 1924, that were heavily damaged in a storm Oct. 7, 2015. It is our vision to become the front porch of the community. A place to knit together neighbors and newcomers through physical, educational and spiritual growth. This project responds to the call and brings together the entire community – connecting all people by serving as the front porch of our community. This will be a recent newsletter post from W. Gohman Construction. This is an archived newsletter from W. Gohman Construction.